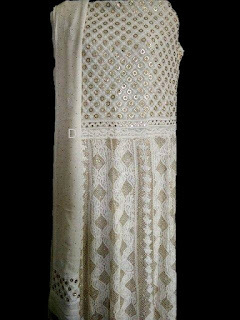 Here are few Lucknow chikankari embroidery work with gotapatti mirror work. You can get these beautiful pieces from Dress365days website. 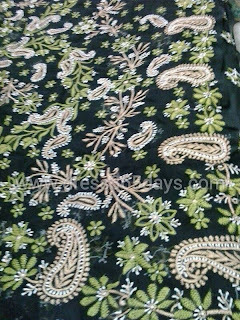 "We would like to experiment and create different types of fusion work blending chikankari embroidery from lucknow with gota, mirror , mukaish kamdani wire work. Sometimes we use pearl also" says Anchal Gupta owner , Dress365days. "We sell all our products through online and only from our website. We don't have any other presence expect Bangalore and Lucknow."